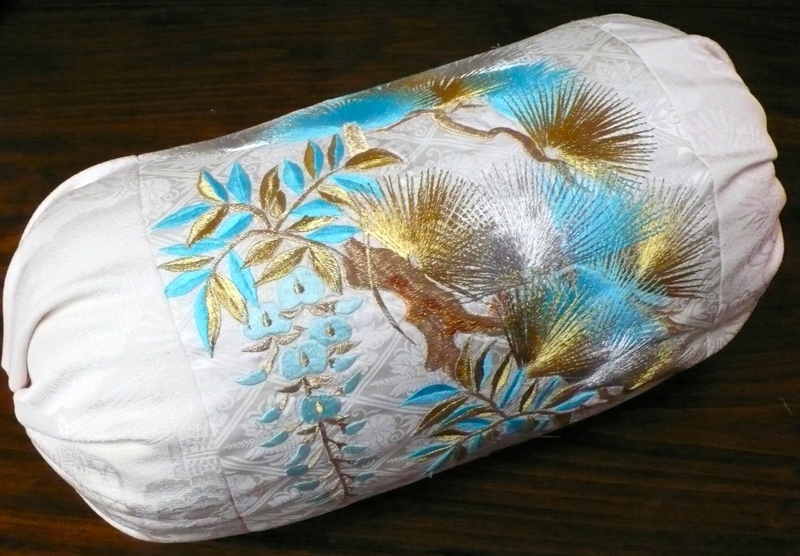 This set of cushions , a square, an oblong and a bolster is made of a Japanese bridal kimono, an uchikake . 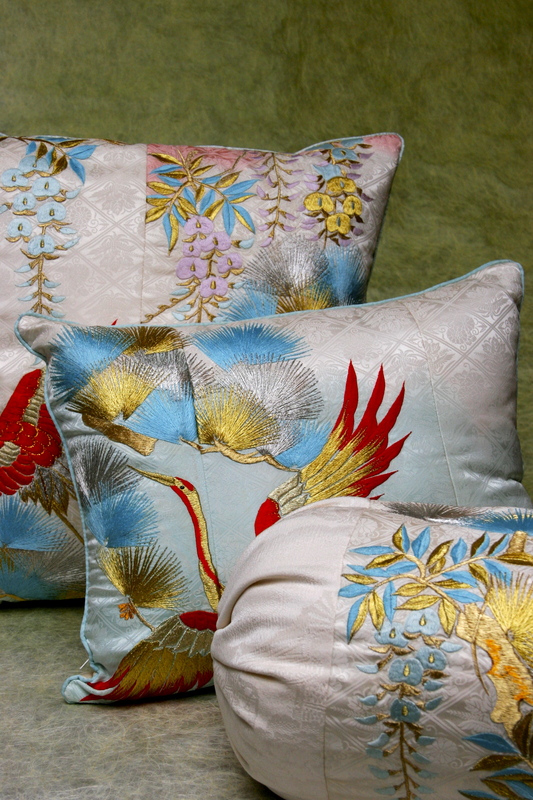 The embroidery on them is done in red, blue, pink, lilac, silver and gold thread. 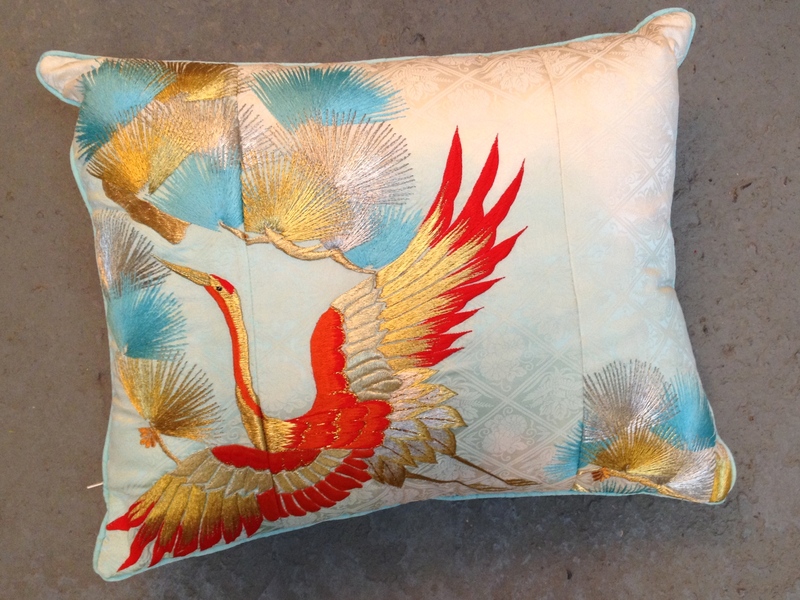 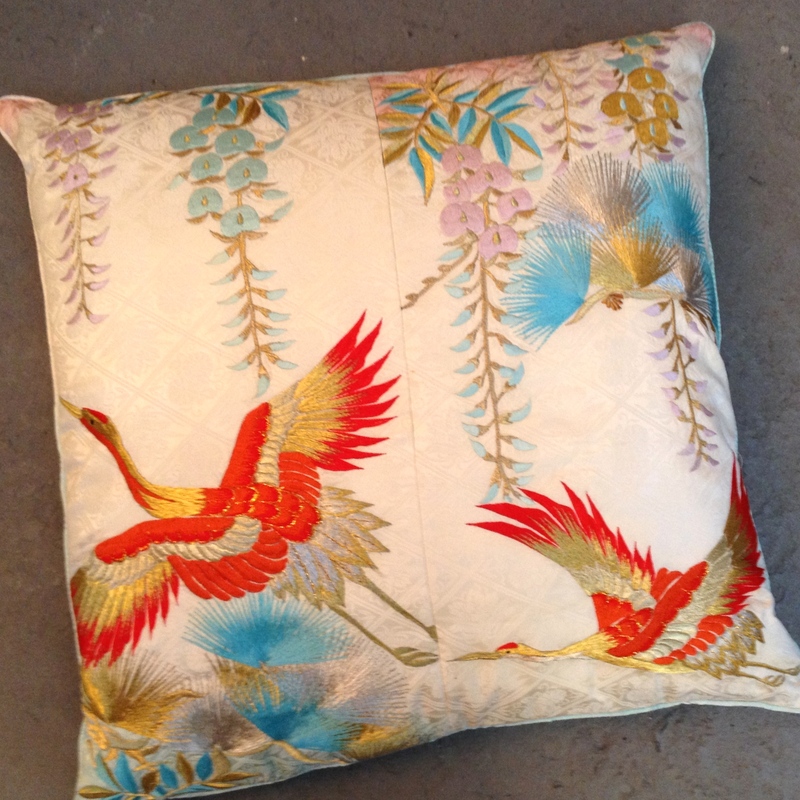 The cranes on the cushions are flying between pinetrees and wisteria and are regarded as a symbol of good fortune and longevity and fidelity.